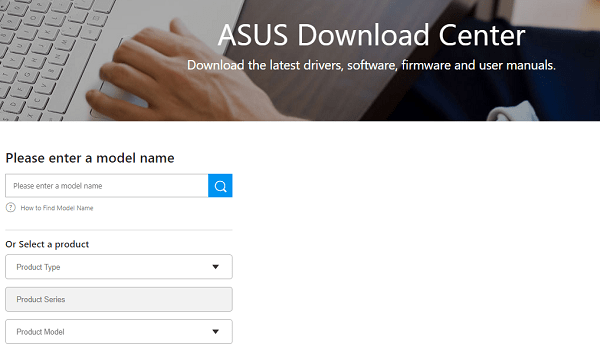 Looking for the easiest way to download ASUS Windows 10 Drivers? Here in this post, you will find out four ways on how to do that. Drivers play a vital role in the proper functioning of the system. Whether you own a laptop or PC if you don’t have appropriate drivers for particular components of the system they will not work correctly. He own Asus laptop running Windows 10 and facing issues in the system due to outdated drivers. Like touchpad, wirless, keyboard backlight, bluethooth cards and more not working properly. So he is looking the easiest way to download ASUS Windows 10 drivers. I thought there might be other users looking for the easiest method to grab the ASUS Drivers for Windows 10. In upcoming lines, you will found out all the possible ways to make that thing happen. Press WIN + I to launch Settings app. Click on Updates & Security -> Windows Update. On the right side, you can look for the latest driver update released by the company. Press WIN+X keyboards keys at the same time. From the context menu select Device Manager. Here click on the particular component and let the system look for the latest drivers. For example, I want to download latest Display Driver I will click on Display Drivers option under it you will find out the name of the Display type. 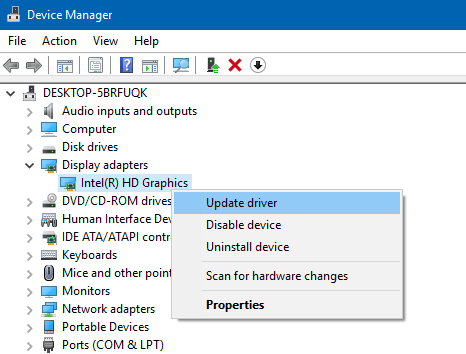 In my case, it’s using Intel (R) HD Graphic to find the latest drivers for it just right click on the option and from the context menu select Update Driver. The system will start looking for the latest Display Drivers for your system. If available, the system will download and install it automatically. It is counted as one of the easiest and more reliable ways to grab the system drivers. The good thing about this method is that the device drivers come from official websites of manufacturers. To grab device drivers for your ASUS laptop or PC. You need to visit Asus Download Center using this link. On this page, you either enter your model name or use select a product option in which you have to choose a Product type, Product Series, and Product Model to find out the exact device for which you’re looking for drivers. 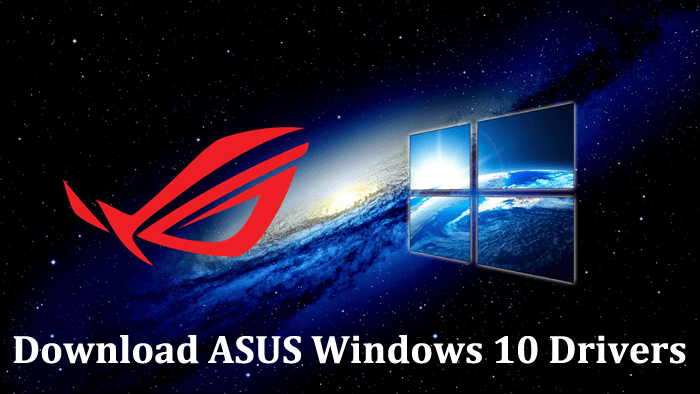 Once you find your ASUS Device details just follow the instructions to download Windows 10 drivers for ASUS device. There one freeware software available on the web using which you can download drivers for almost all the manufacturers including ASUS. This tool can also work for you as an ASUS drivers download utility. You can download the tool using this link and follow the instructions to install the latest drivers for your ASUS device. So these are some of the possible ways to download ASUS Windows 10 drivers. I hope you find any of the listed method useful. Let me know in the comments if you need any help.